The Flyers have been remarkably consistent all season, and are experiencing no signs of Stanley Cup final hangover. It's hard to find a deeper group of forwards in the entire league, while their collective defence may even a stronger point for the club. With rookie Russian goalie Sergei Bobrovsky backstopping the team, the Flyers have been rolling since the season began, and their past week has seen them beat some of the top teams in the Eastern Conference. Since last Thursday, the Flyers have beat Toronto, Boston, Pittsburgh and Montreal, with three of the four coming on the road. Captain Mike Richards scored the winning goal for the Flyers in overtime against Boston, beating Tim Thomas with only three seconds to go in the extra frame. On Tuesday night against the Penguins, the Flyers put an end to the 12-game winning streak of their in-state rivals, a win that put them in first-place of the Atlantic Division, the Eastern Conference and the entire NHL standings. The next night, Philadelphia went into Montreal to face the Northeast division leaders, and scored two goals late in the third period after the Canadiens had tied the game at 3-3, squashing all of the Habs momentum and quickly quieting the normally raucous Bell Centre. With 47 points, the Flyers are currently the best team in the NHL points race, and their seven losses the league's least. A hard team to play anywhere – their away record is actually better than their home record – the Flyers are already well established as a potential Cup favourite this season and are working towards being THE Cup favourite at their current pace. In one of those bizarre moments that will likely never happen again, Bobby Ryan of the Anaheim Ducks scored a truly unique goal against the Minnesota Wild on Sunday night, helping stoke his team to a 6-2 victory. It all began when Wild centre Mikko Koviu lost his stick behind the Minnesota net, and then proceeded to yank Ryan's straight out of his hands to replace it. Ryan appealed to the referee, but play continued. Koivu's lost stick was moved all around the ice by the other players as play continued, until it eventually settled at the skates of Ryan, whose own stick was still in Koivu's possession. Ryan picked up Koivu's stick, a left-handed one which he had to use right-handed, went to the side of the net where a loose puck rebound off a Toni Lydman shot popped out perfectly to him. Ryan wasted no time banging the puck home for a goal and followed it up by showing Koivu whose stick he scored it with. The combination of about ten surreal things happening all on the same play led it to be a goal that is probably as rare as snowflakes in Southern California and never to be duplicated. 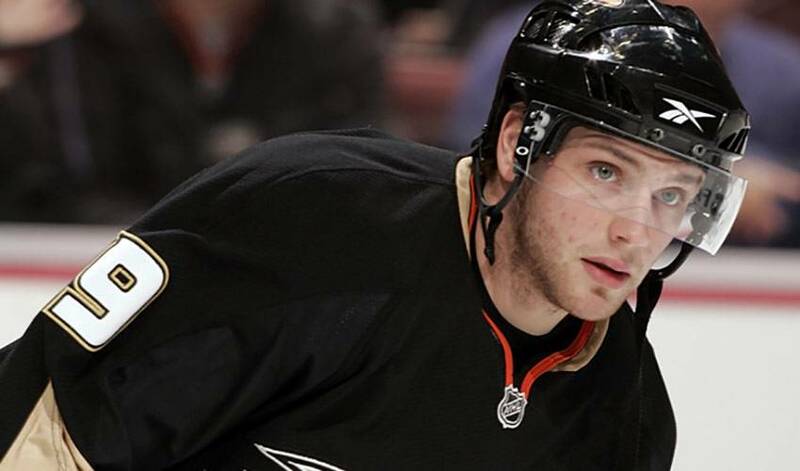 New Ottawa Senators acquisition Bobby Ryan takes to the streets of Ottawa to see what its residents think of him – only, he doesn’t mention he’s Bobby Ryan while holding the microphone.